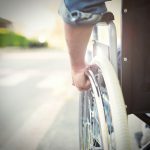 Do you have an accessible bank? 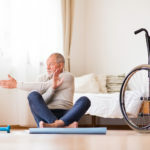 There are so many considerations to make after having a spinal cord injury (SCI), you may not have even thought about your banking situation yet. Maybe you haven’t even made a trip to the bank since coming home. You may not even know what challenges you may face there. 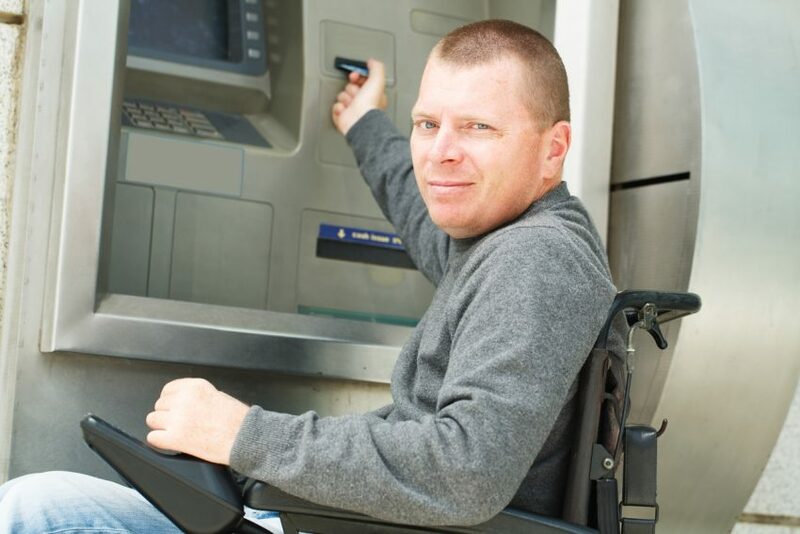 When choosing an accessible bank, or making sure your current bank is still going to work for you, there are three top areas to consider. You will want to evaluate how accessible is the outside of the bank. You will also want to think about how accessible the inside of the bank is. And finally, you will want to consider how accessible is your bank online, or through your phone. The best way to determine a bank’s accessibility is to go there in person and see what type of experience you have. 4 Do You Have An Accessible Bank? The outside of an accessible bank is going to have good parking. Are there accessible spaces near the door? Are the spaces well marked? Is there a loading zone marked so that you have easy access to a ramp? To get from your parking space to the ramp, will you have to travel behind any other parked cars? The outside of an accessible bank will also have wide doorways and easy-to-open doors. One you reach the door, you need to see how easy it is for you to open independently. Is the door heavy? Is the handle awkward? What direction does the door swing, and can you get around it? One you have the door open, is the doorway wide enough for your chair to fit through? Some banks have drive-throughs or ATMs outside that allow you to make transactions without ever going inside. Does your bank offer these amenities? If so, are they accessible from your vehicle or wheelchair? The inside of an accessible bank should give you enough space to maneuver. You should be able to go through the line without bumping into things. Look at the counters where you fill out paperwork. Can you access them from your chair, or are they too high? The inside of an accessible bank should also include offices that are accessible. Sometimes you may have to meet an employee in their office, so you want to make sure your chair will fit through the door. 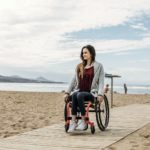 Once inside the office, is there enough space around the desk for you to pull your wheelchair? Is there knee and toe clearance under the desk? One of the most accessible features a bank can have is to have online and phone banking options. Many banks have online website options where you can check your balance and transfer money, along with some other features. Some banks have become very convenient by creating a phone app. Banking apps allow you to do most of the things you can do online, but some even offer the ability to deposit your checks through your phone. The app will ask you to take a photo of the front and back of the check, and it will be electronically deposited without you ever having to leave your home. Do You Have An Accessible Bank? After visiting your bank and evaluating it in these three areas, you will have to ask yourself if it is accessible enough for you to continue to use. If the answer is no, then you will want to start the process of finding a new bank. The best way to do that is by visiting other banks near you and by asking your therapists, doctors, or other people in wheelchairs for their recommendations.